The Alluring Volume 5D Lashes can be easily used for customers who want 3D, 5D volume eyelash extensions. Now you can make it without any extra effort. No need to spend time on making “fans” – we have already done them for you! 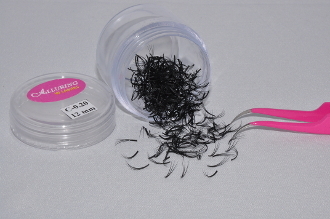 There are approximately 250 5D lashes in each container.